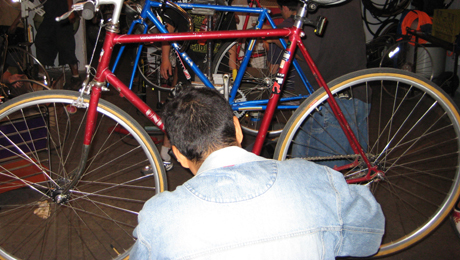 Los Caminos del Río, Colonias Unidas, Community Action Council of South Texas-Youth Plex, and Workforce Solutions-Rio Grande City have partnered-up to hold Bike Repair Clinics and begin the ‘first’ Bicycling Club in Starr County. The community, local organizations, and businesses are invited to donate any bikes that are unusable, clunkers, or they want to get rid of. This will help people in the community repair bikes for kids that may not have a bike. This effort is to promote a healthier lifestyle in the area and have kids and their parents enjoy the outdoors and local history. Memorial Week-end is the last day for dropping off bikes at Colonias Unidas, 8019 Embassy Rd., Rio Grande City--(Priscilla Martinez, Director @ 956.487.0964) or YouthPlex Pavilion, 1409 W. Canales, Rio Grande City (Toni Botello,Planner/Trainer @ 956.487.2585) or Los Caminos del Río (Norma Viola Cantú, AmeriCorps, VISTA @ 956.227.2372) for more information. Los Caminos del Río (LCDR), is a non-profit organization chartered in 1991 to "preserve and promote the environment, history and cultural heritage of the Lower Rio Grande Valley." We work on both sides of the border from Laredo and Nuevo Laredo to the Gulf of Mexico. Our objective is to secure National Heritage Area status for the U.S. side of the corridor, something which requires an act of Congress, and which triggers up to $1,000,000 per year in federal money for up to 15 years to expand programs, address regional challenges and prepare the Valley to become a world-class tourist destination. Los Caminos del Río-Frontera Chica is housed out of First National Bank on East Highway 83 in Rio Grande City.